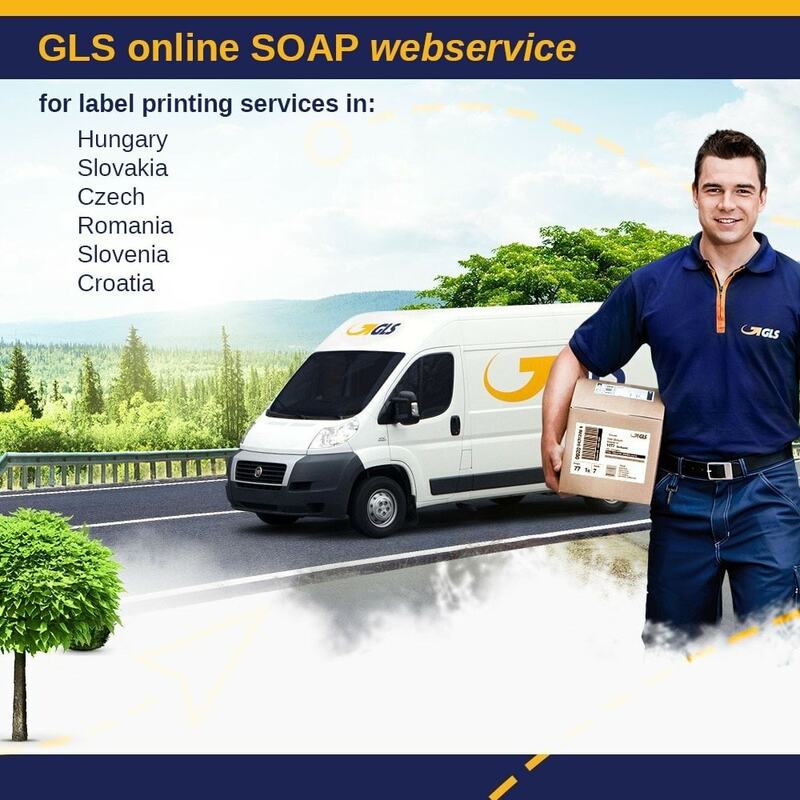 Directly print GLS labels from the shop order administration tab. 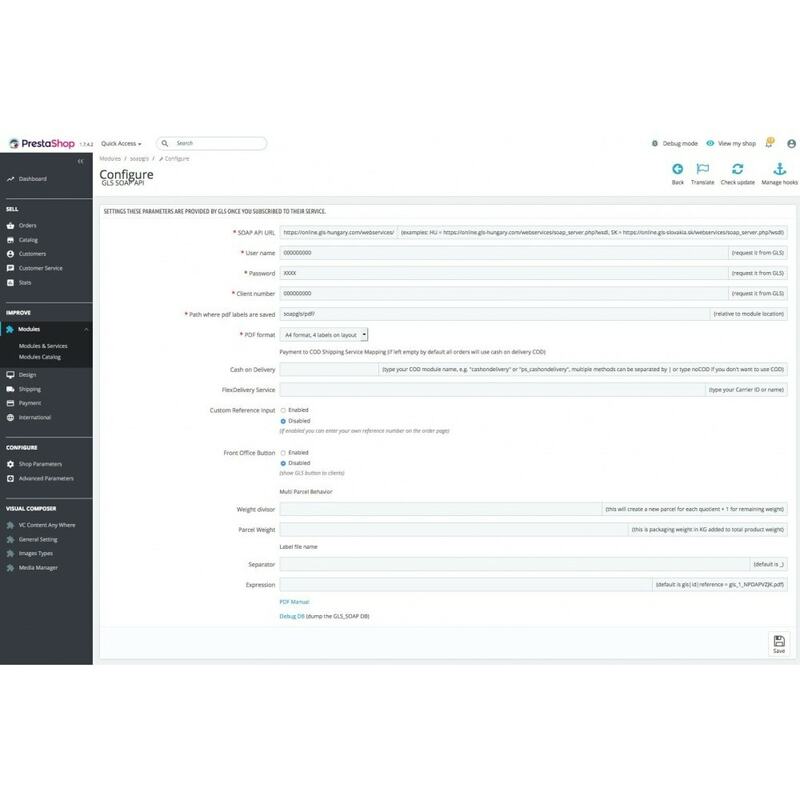 In the Modules tab of your PrestaShop back office, you have an option to install a module from your computer. Select the zip file you downloaded on Addons and confirm. The first thing to do is to do some general settings. To do this, after installing the module (see the first page of this document), click the Module Configuration button. Then you can enter the GLS credentials that you got when subscribing to their service (Credentials, Client number). 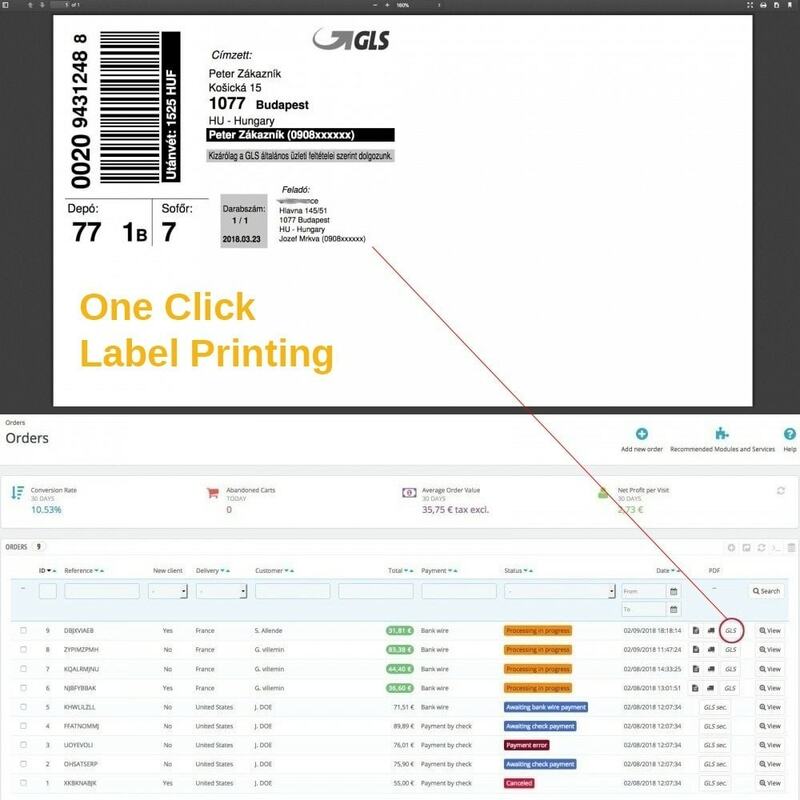 Interface with the Asendia (Swiss Post & La Poste) SOAP API to receive a unique tracking reference and print package labels in PDF format.